Edmonton’s pilot program of using sound detectors to monitor noisy drivers backfired after the sensors actually attracted more sound. In total, the City of Edmonton installed eight photo-radar style systems in the noisiest parts of the city to detect vehicles driving by too loudly. But the ones causing the biggest issues were the four stations with LED boards that showed the decibel levels. Drivers started using the sensors as “scoreboards” to see whose vehicle engine was the loudest, one local motorcycle club member told CTV Edmonton. Residents were not impressed. "I (originally) thought people were just ‘Oh, I just want to see how loud I am in case I get fined’,” said Stephanie Kierstead, who lives across the street from one of the sound devices in the city’s north end. Following complaints from people like Kierstead, the city shut down all four LED displays that displayed noise levels by Thursday, according to a city spokesperson. But despite the LED boards going dark, all eight stations’ microphones are still recording noise levels. 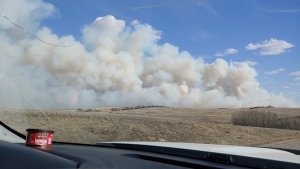 “Since they’ve turned off, I haven’t heard a thing,” Kierstead said. She said the city should have planned for people misusing the displays. 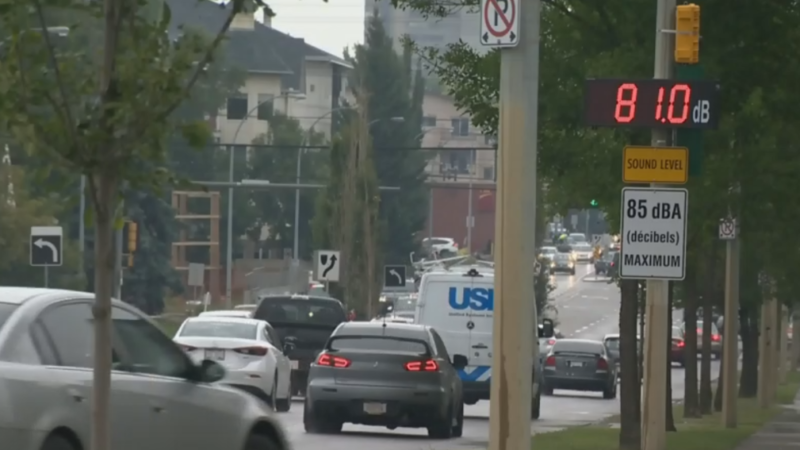 But in August, city officials told CTV Edmonton that the LED displays would stop displaying noise levels after a certain decibel. The maximum sound limit for traffic, according to the signs, is 85 decibels. Mayor Don Iveson said that once the sensors are combined with police enforcement, during the second phase of the pilot program, they would have a better impact on the community. 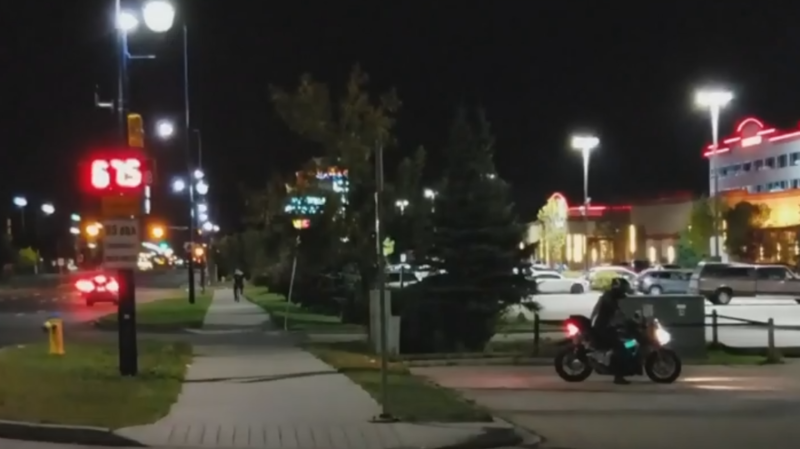 "I think the message will start to get through to people that this kind of anti-social and disrespectful behaviour with loud vehicles is not going to be tolerated anymore in our city,” he told CTV Edmonton. Edmonton is not the first city in the world to employ noise monitoring stations to crack down on noisy drivers. Abu Dhabi, the capital of the United Arab Emirates, installed similar technology in 2016, according to The National newspaper. Edmonton's pilot ends in November. At that point, city officials will review a report based on the findings of the pilot project and decide whether to move forward with a large scale program. One of the sound detectors with LED display as part of Edmonton’s pilot program to monitor noisy drivers which backfired after the sensors actually attracted more sound.